Visions Employment Plus Inc. is a non-profit community based Employment Corporation. We were established in 1994 and Incorporated in the same year. We receive funding from the provincial government through the Department of Advanced Education and Skills. Visions Employment Plus Inc. is governed by a volunteer Board of Directors including professionals from the community, the business sector, and parents of individuals with a intellectual disability. 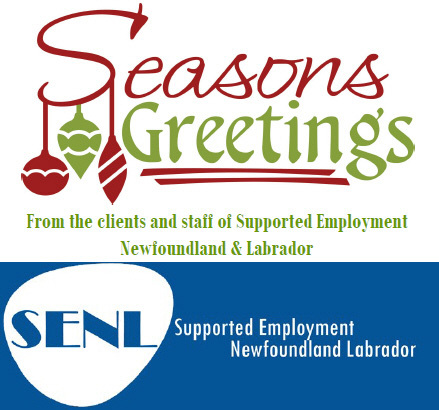 Our mandate is to provide employment related services and support to adults and High School students with intellectual disabilities facing barriers to employment. We provide Career Exploration, Job Search, Interview Preparation, Resume Writing, Job Coach Support, Job Placement Monitoring and Support, Small Business Development, Interagency Referrals. 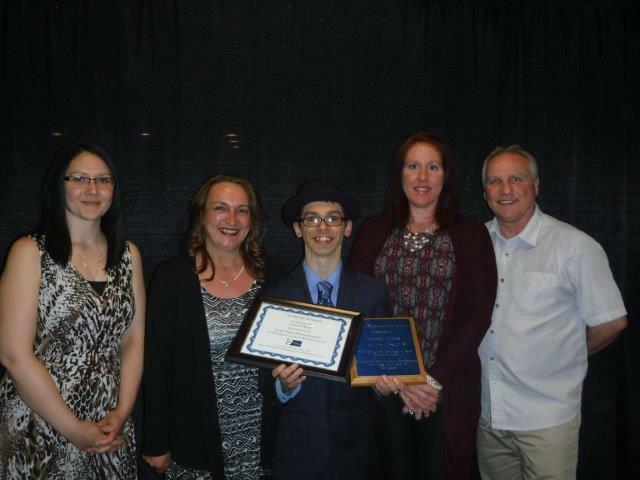 Visions Employment client Andrew Hynes receiving the Cindy Watts Memorial Award at the 2016 Provincial Supported Employment Newfoundland and Labrador (SENL) Conference at The Wilds, Salmonier, May 2016. 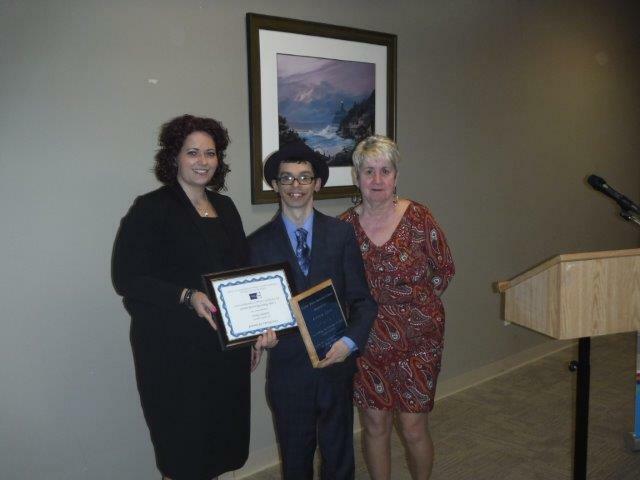 Pictures feature Andrew with his parents, Job Coach Angela Greeley, CDS Melissa Slade and Conference hosts Jennifer Baker, Employment Counselor and Board Chairperson Elizabeth Moore of Mariner Resource Opportunities Agency. CONGRATULATIONS Andrew from all of us at Visions !!! Keep up the good work. 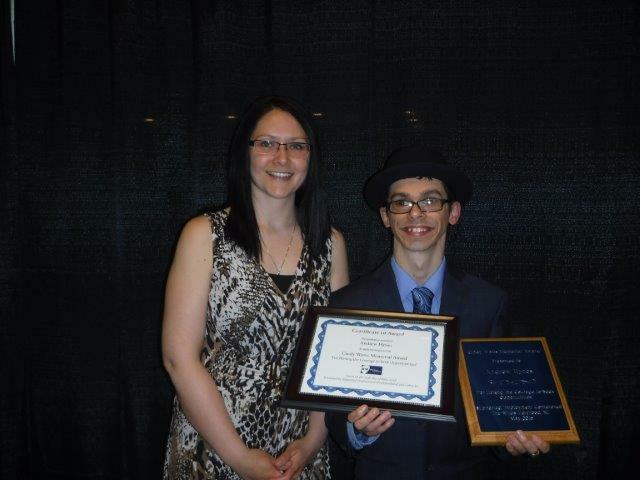 The Cindy Watts Memorial Award was created in memory of Employment Counselor Cindy Watts, Ability Employment Corporation, Clarenville who passed away in 2000. 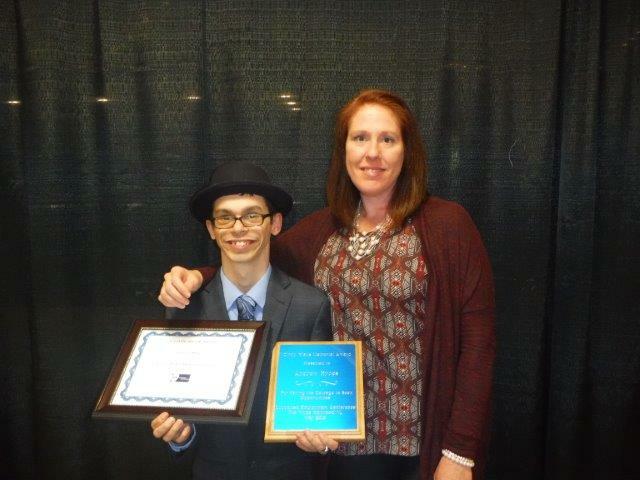 The Award is a way to honor Cindy for her exemplary work with the Supported Employment Program and for her dedication and commitment to her clients. Cindy had a true belief of what equality, inclusion and acceptance meant. The Award is an annual Award and is client driven. Employment Corporations can nominate an individual who they support in the workplace and who exemplifies Cindy’s positive attitude, work ethic and participation in the community. From left to right: Coreen Bennett, Director of Human Resources , Mark Dawe, Chief Operating Officer , Kim Redmond and Darrell Durdle, Manager Kelsey Drive location. 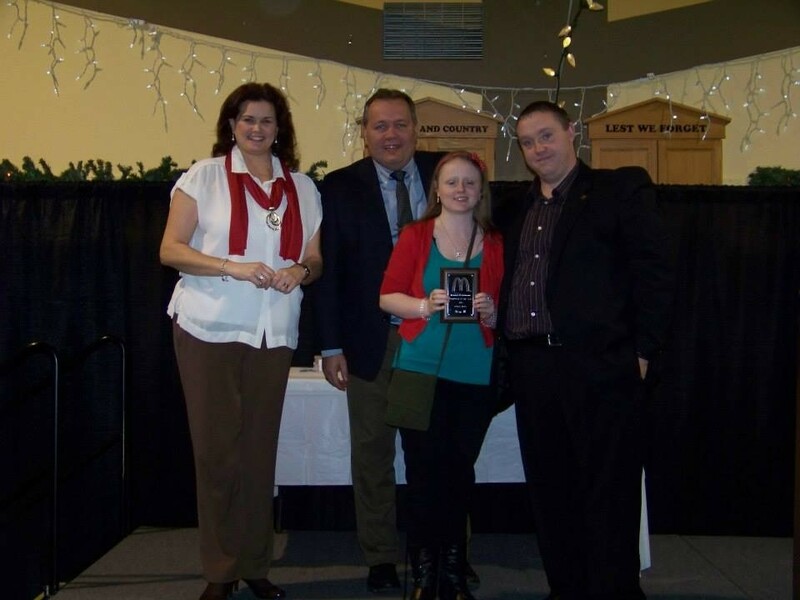 Kim Redmond received the Employee of the Year Award from McDonalds Restaurants in December. She is employed at McDonalds, Kelsey Drive, St. John’s. The criteria for this award is based on role model hospitality always ensuring guests are the #1 priority, showing initiative and dedication and being friendly and punctual. All of us at Visions are so proud of you Kim! Congratulations and keep up the good work. 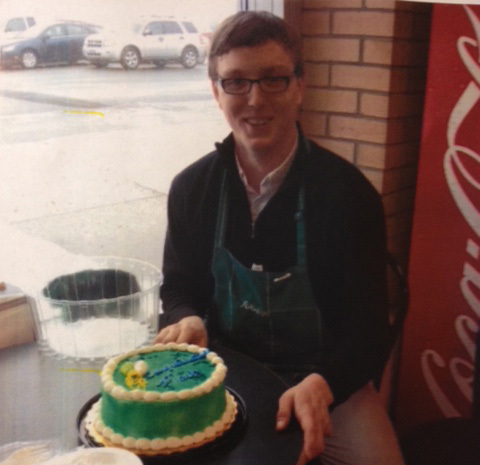 CONGRATULATIONS to Mark Peddle on being recognized by Sobeys, Old Placentia Road, Mount Pearl as “EMPLOYEE OF THE MONTH” for February. 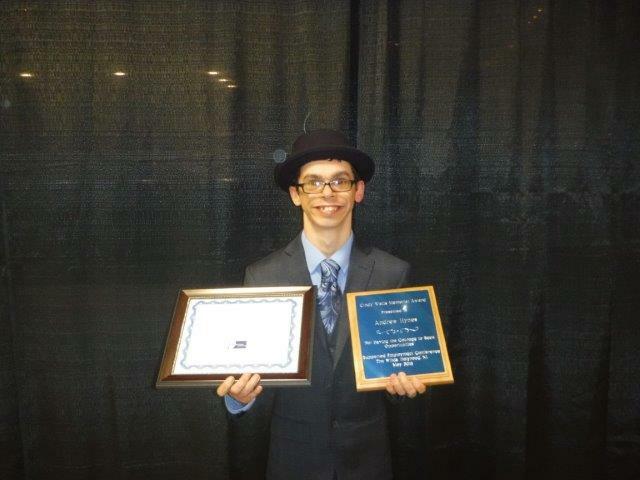 Mark works as a Produce Clerk at Sobeys and is very outgoing and helpful with both staff and customers. CONGRATULATIONS Mark and keep up the good work! We are all very proud of your accomplishment. 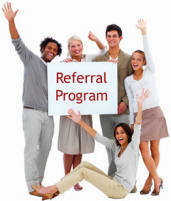 Click here to complete our referral form. Please complete the form and print a copy. Please send via post, email or fax.